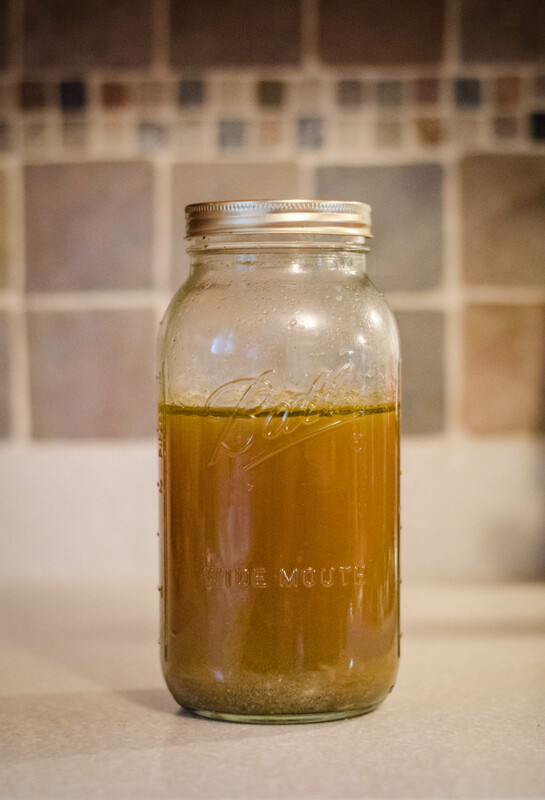 Don’t buy packaged chicken broth. It’s full of sodium, plus it’s so easy to make your own at home… one that tastes better and is less expensive. If you’re anything like me, making homemade broth especially without bouillons, seems intimidating. However, it’s actually super easy to make and it’s far more nutritious. This recipe will be necessary for a few things. Mostly for the best homemade chicken soup ever, which I will post next. No really, it’s happening today. YAY. Giant Tangent: If you’re not grossed out by a whole chicken, certainly buy a whole one. I made it with a whole one first, but it just made me think of scenes from Food Inc and it grossed me out. If you haven’t seen it, you probably should, and by probably I really me you should have watched it yesterday. So I got some chicken wings (with bones), chicken thighs (with bones), and chicken breasts instead. AND it came out better than with the whole chicken surprisingly. Yes, I realize these are essentially the same thing… it just made it less gross for me to put cut up pieces as opposed to a whole animal in a pot. Also, I bought organic and non-GMO chicken- Whole Food’s new item. Do it. And also watch Food Inc. But maybe after you eat. -water (enough to fill the pot). 3. Reduce to low heat and let simmer for 1.5-2 hours until the chicken is cooked through. 4. Strain the liquid into another large pot. You can discard the vegetables and garlic, but put the chicken meat in a large baking tray so you can separate the meat from the bones. Use the broth and meat immediately for soup/pot pie/etc or let them cool and store in fridge or freezer. 5. I suggest storing it in a mason jar as depicted 🙂 Its safer than plastic Tupperware, it won’t stain your Tupperware yellow, and it’s easier to store. 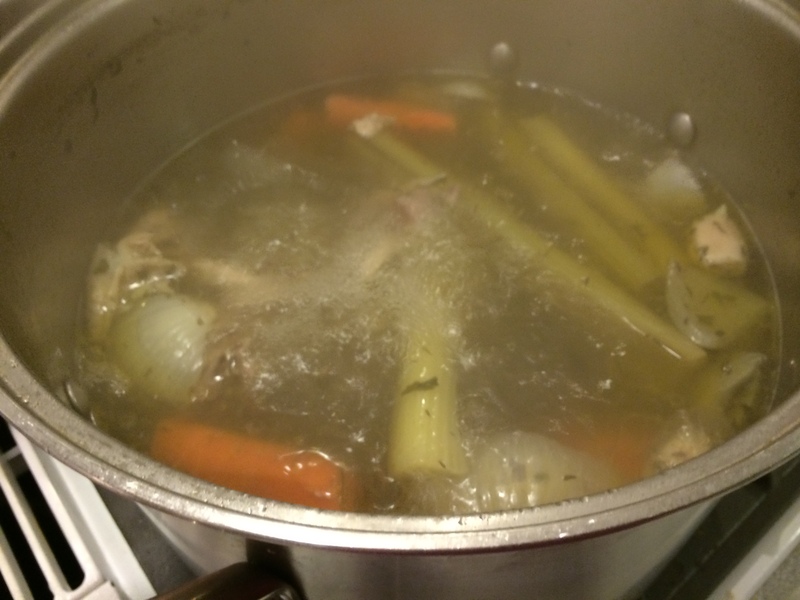 Now go make some soup with this… the best chicken soup of all time. It’s true. See my next post.